PS – I think I was about 5’6″ and a half or so at max; not sure now! Pic is mine, all rights reserved. This entry was posted on June 7, 2015 at 12:40 pm and is filed under elephants, poetry. You can subscribe via RSS 2.0 feed to this post's comments. What wisdom in this.. 6 feet above is so much more like flying than the fall to six feet under. I love your elephants! At 5’3, I am under-tall too. I loved this.. its so open.. so endearing.. calling out to the reader.. perhaps extending out a hand.. in mutual understanding..! At least it is six feet in the right direction, you know. Ha. I would love to fly – not like superman, but with wings like a bird. I actually was six feet tall once. Now I’m 5-11. 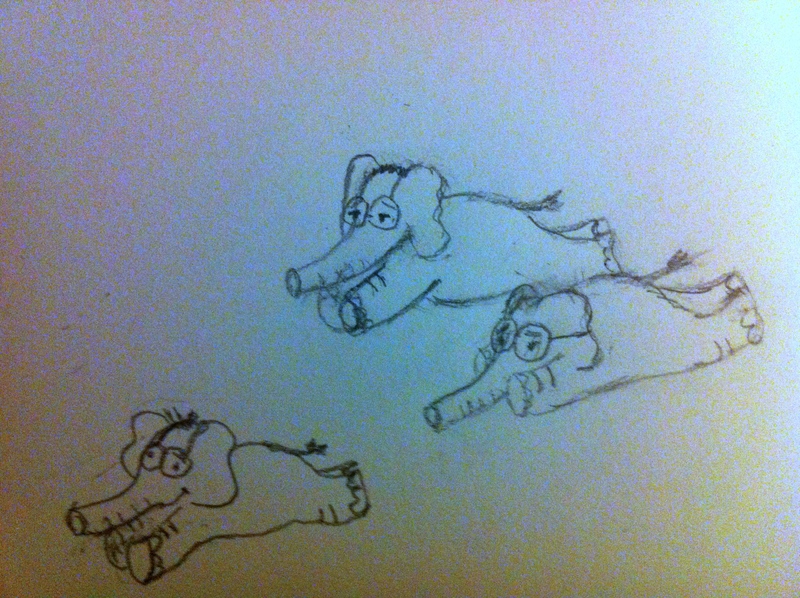 Flying elephants are always a good thing, though I can’t claim to be able to pick one out from the others. No, that was a joke. Terrific to be so tall! k.
Ha. Thanks so much, M. The G-man was so terrific. I miss him. k.
The whimsy of flying elephants and the quandaries of typos and deadlines and all the tangled threads of living somehow work well together, a sense of flinging oneself at both in faith that the right thing will happen–a delightful 55, k. The G-Man would have loved it.